the founder and the head of the EYE MICROSURGERY CENTRE, the chief physician of the Clinic, leading ophthalmologist. He had the opportunity to train in cataract and refractive surgery directly under the world-wide known ophthalmologist, academician Svjatoslav Fyodorov. The Fellow of the Russian Society of cataractologists and refractive surgeons. Seniority in surgery in 1989. 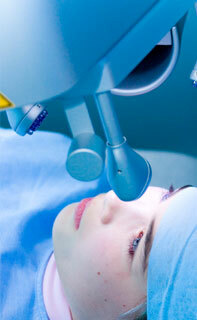 An ophthalmosurgeon who has performed more than 50 000 operations in Latvia and Russia. 1988-1989 internship in ophthalmology, Department of eye diseases of the P.Stradina hospital. 1989-1995 Liepaja, Central city hospital, Ophthalmology department – an ophthalmosurgeon (cataract, glaucoma…). 1991–1993 cooperation with Canadian ophthalmosurgeons in the Toronto Eye hospital cataract microsurgery, IOL implan. 1996–1998 Riga, 1st city hospital, hospital "Bikernieki"Ophthalmology department - ophthalmosurgeon". Czech Republic, Prague–training course in cataract and refractive surgery. Moscow, training in the Institute "EYE MICROSURGERY", under personal guidance of academician Svyatoslav Fyodorov: training in refractive surgery (surgical correction of nearsightedness, astigmatism, several kinds of farsightedness), training in cataract surgery, IOL implantation. opening of an independent private Eye Centre. The main fields of activity of the Centre, together with classic ophthalmology and ophthalmic surgery, included new tretment approaches – cosmetic ophthalmology and refractive surgery (vision correction in nearsightedness, astigmatism, farsightedness). He is the driving force in development and growth of the Centre. From 2000 close co-operation and training in the Svyatoslav Fyodorov Institute JRTC "Eye microsurgery".International Russian and European congress of ophthalmosurgeons. Scientific and practical training "Modern technologies in cataract surgery", in the Svyatoslav Fyodorov Institute JRTC "Eye microsurgery". From 2001 cooperation with Russian state Hemlholz ophthalmology Institute. Scientific and practical conference "Correction of refractive anomalies", in the Svyatoslav Fyodorov Institute JRTC "Eye microsurgery". Scientific and practical conference "Modern treatment of glaucoma treatment", scientific and practical training in phaco-emulsification of cataract at the Svyatoslav Fyodorov Institute JRTC "Eye microsurgery" on the basis of the training centre "WETLAB". Scientific and practical course in refractive surgery (surgical correction of nearsightedness, astigmatism, farsightedness) in the Svyatoslav Fyodorov Institute JRTC "Eye microsurgery". Moscow, Research and Training Centre of the Svyatoslav Fyodorov Institute JRTC "Eye microsurgery", JRTC "Eye microsurgery" Centre of laser surgery - training course in refractive excimer laser surgery by "Lasik", "PRK" and "PTK" methods under the guidance of the head of the Research and Training Centre "Eye microsurgery", professor, academician of Laser Scientific Academy of Russia V.G.Kopayeva. Author of scientific publications, lecturer, participant of scientific and practical seminars, conferences, congresses in the Baltic countries and abroad. 1990-1991 internship in ophthalmology, Department of eye diseases of the P.Stradina hospital. 1991 Riga, 1st city hospital, - an ophthalmosurgeon. 1996 Moscow Svyatoslav Fyodorov Institute JRTC "Eye microsurgery" – postgraduate training in laser therapy and surgery . 1997, 2002 postgraduate training course in ophthalmology and ophthalmosurgery in Department of eye diseases at the P.Stradina university. Moscow, Russian state Helmholz Institute by – training in plastic eye microsurgery. St.Petersburg JRTC "Eye microsurgery" - training in cataract microsurgery (phaco-emulsification). Riga, training in children ophthalmology in Department of eye diseases at the P.Stradina university. Moscow, Research and Training Centre of the Svyatoslav Fyodorov Institute JRTC "Eye microsurgery", JRTC "Eye microsurgery" Centre of laser surgery - training course in refractive excimer laser surgery by "Lasik", "PRK" and "PTK" methods under the guidance of the head of the Research and Training Centre "Eye microsurgery", professor, academician of Laser Scientific Academy of Russia V.G.Kopayeva. From 2003 works at the EYE MICROSURGERY CENTRE, practise in therapy and surgery. Performs independent operations as an ophthalmosurgeon in refractive surgery, glaucoma, cataract (with IOL implantation), plastic and small microsurgery. Participant of scientific and practical seminars, conferences, congresses in the Baltic countries and abroad. Was born in Latvia, Riga on 12th October 1982. 2000-2004 Latvian University Faculty of Physics and Mathematics Bachelor's Degree in Optometry. 2004-2006 Latvian University Faculty of Physics and Mathematics Master's Degree in Optometry. 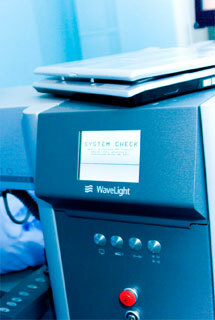 From 2005 optometrist and specialist in contact correction in the optics net "Vision Express". International training: Itally, Biella; "Ciba Vision" Optometry University "Actual principles of diagnosis and treatment of patients with infectious and toxic-allergic reactions associated with wearing of soft contact lenses". Participation in Bauch&Lomb seminars about contact lenses. Participation in training course "Alcon products for vision correction specialists"
From 2012 works at the EYE MICROSURGERY CENTRE (SIA ACU MIKROĶIRURĢIJAS CENTRS) as an optometrist and specialist in contact correction. Participation in scientific and practical seminars, conferences, congresses. Was born in Latvia, Ventspils on 22th May 1991. 2010-2013 University of Latvia, Faculty of Physics and Mathematics, Department of Optometry and Vision Science, Bachelor study programme in Optometry. 2013-2015 University of Latvia, Faculty of Physics and Mathematics, Department of Optometry and Vision Science, Professional Master study programme in Optometry. 2013-2014 optometrist in the optics "Optikas pakalpojumi". 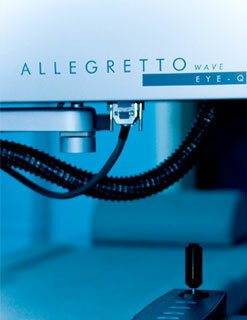 From 2014 optometrist and specialist in contact correction in the optics net "Vision Express". International training: Participation in Bauch&Lomb seminars about contact lenses. Participation in training course "Alcon products for vision correction specialists". Completed the course "A Look at the Inflammatory Aspect of Ocular Disease", New York, USA. Scientific-practical conference '' Modern technologies in cataract and refractive surgery ''. Moscow, Russia. First International Symposium on Visual Physiology, Environment and Perception. Rīga, Latvija. From 2015 works at the EYE MICROSURGERY CENTRE (SIA ACU MIKROĶIRURĢIJAS CENTRS) as an optometrist and specialist in contact correction. Participation in scientific and practical seminars, conferences, congresses. Member of the Latvian Optometrist and Optician Association since 2015. Was born in Latvia, Gulbene on 25th april 1982. 2004-2005 optometrist in the optics „Italiana". From 2006 works at the EYE MICROSURGERY CENTRE (SIA ACU MIKROĶIRURĢIJAS CENTRS) as an optometrist and administrator.